‘A biography of Sir Paul Chater would be a history of Hong Kong’, the South China Morning Post obituary stated on 28 May 1926, Arriving as an impecunious but ambitious and extremely capable teenager, he was later to be described by the Sunday Times of London, ‘as one of the most powerful and…most beneficent figures in the Empire’. One of 13 children, Chater (b. 8th September 1846, Calcutta; d. 27th May 1926, Hong Kong) was born into an old and influential Armenian Christian family of merchants. He went to school at the prestigious La Martinère for Boys as a Foundationer (his father died in 1953 and his mother two years later); he is still remembered there every morning in the school prayer. In 1864 he joined one of this sisters, then living in Hong Kong, and soon secured his first job as a junior assistant in the Bank of Hindustan, China and Japan. Two years later he resigned to start his own business as a bills and bullion broker with the help and encouragement of one of the Bank’s clients the Sassoon family. He immediately showed his financial flair; in 1870 he made his first land purchase and by the time he was 30 he was a millionaire. 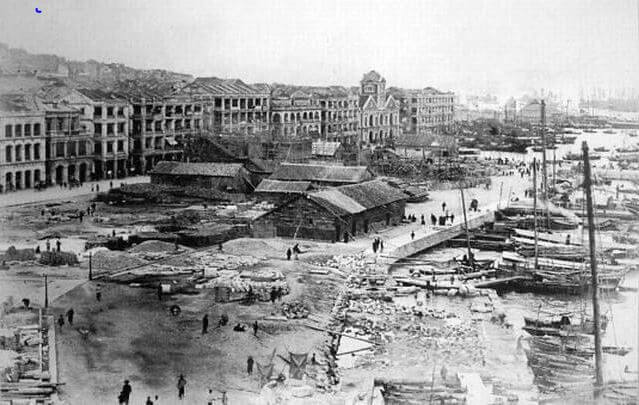 By the 1880s there was hardly a major new business that did not involve Chater: he was instrumental in founding Hong Kong and Kowloon Wharf and Godown Co. Ltd (1884), Dairy Farm (1886), Hongkong Land (1889), Hongkong Electric (1889), the Star Ferry (1898) and Hongkong Telephone (1924). In addition he was a substantial shareholder of the Hongkong and Shanghai Banking Corporation, Hong Kong & Shanghai Hotels, Hongkong Tramways, and Hong Kong and Whampoa Dock Company. Chater was one of the first to see the commercial and residential possibilities offered by the newly acquired territory in Kowloon. 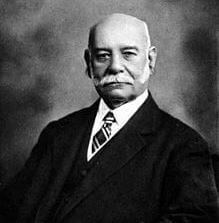 In 1871 he purchased land on the western seashore and, in 1884, established there his wharf and godown company, later admitting Jardine, Matheson & Co. as partner. This enterprise ‘completely revolutionised the shipping business of the port’, said the Hongkong Telegraph, and is today a huge commercial conglomerate. In 1898, by allowing Dorabjee Naorojee Mithaiwala to berth his ferries at the Kowloon wharf, Chater ensured the birth of the Star Ferry Company. He built in Kowloon a spacious bungalow standing in a large garden and used it as a holiday home. In 1904 he gave up part of the land for the erection of St Andrew’s Church. That spirit was reflected clearly in his business dealings, the greatest of which was the Central Praya he proposed in 1887. He went to London to win government approval, and the foundation stone was laid in 1890 by the Duke of Connaught. Completed in 1904, this massive reclamation, measuring 75 metres by over 3 kilometres, stretched along the entire waterfront of Central and Western districts. Hitherto, reclamation had generally been on a very small scale and conducted by individual lot-holders. As a result the foreshore was a mess and prevented the easy flow of water. Chater overcame earlier dissension from traders, who baulked at losing their prime waterfront sites, by devising a plan such that marine lot-holders extended their existing lots to the new shoreline at their own expense but under government control; owners could then rent their new land from the government. In connection with this project, in 1889 Chater founded Hongkong Land, partnering again with Jardines. The core of Hongkong Land’s portfolio of prime properties still stands on land created by Chater. 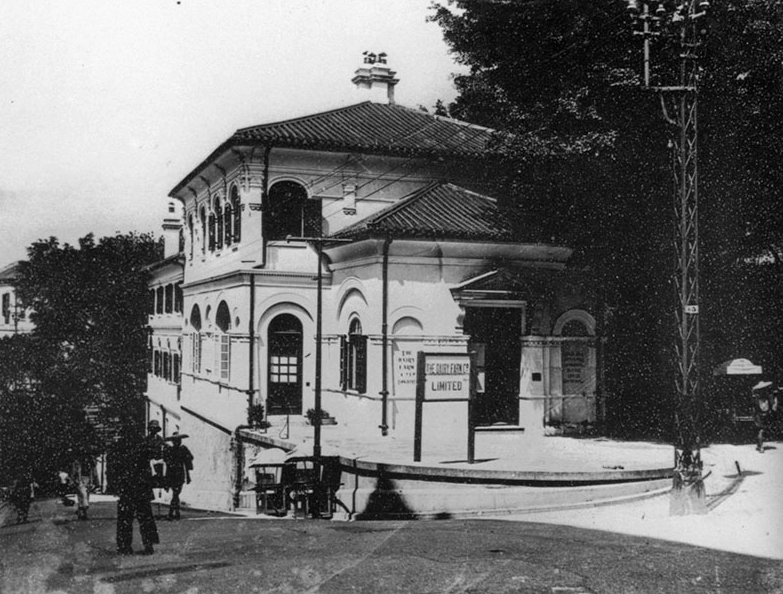 In the same year he became one of the subscribers and main promoters of Hongkong Electric, the colony’s first generator of electricity. To ensure adequate fuel for the new generators, in 1892, Chater and Hormusjee Mody opened coal mines in the French territory of Tonkin (present-day Vietnam). The company they founded Société Français des Charbonnages du Tonkin was said to be the only successful business ever to be established in French Indo-China. For this Chater was awarded the Légion d’honneur by the French government…. We have many articles about several companies mentioned above. Please refer to our Index. My grandmother’s family name was Chater and related to Sir Paul Cahater. I would like written information to give to my son who was a Macquarie bank assistant director based in Singapore and worked out of Chater place many a time at 8 Connaught place. Good to hear from you. And interesting to hear that your grandmother was part of the Chater family. I can’t add anything further about Sir Paul to what we have in the article you attached your comment to. However there is plenty out there about him on the internet. You could look at the Armenian community website Art-A-Tsolum which has its own biography and may be able to help you gather further information.